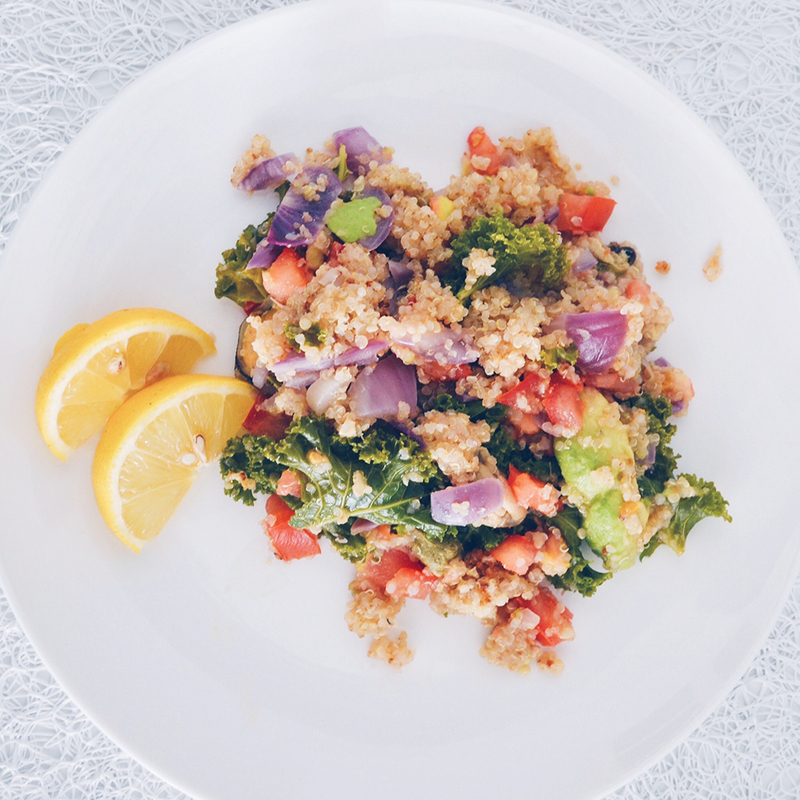 A really simple under the budget quinoa recipe that's a perfect lunch but also a salad to go with fish or something else you had prepared for dinner. And if there is leftovers, just use it on top of a bread or with eggs in the morning as your breakfast. Click to see the full recipe! Bring to boil 2 cups of water. When boiling add quinoa and let it boil for 10minutes. Cut the tomatoes into small pieces and prepare the avocado and let them wait in a bowl for quinoa to be ready. When quinoa is almost ready after 10 minutes. Take some kale and set it on top of the quinoa and put the lid on, let the kale steam for 5minutes. Cut the onion into small pieces and set it on top of the kale. Let it steam for 2minutes. When quinoa, kale and the onions are ready take the pan off the stove and mix in tomatoes, avocado and the mussels. Mix all together. Use lemon juice to enhance the flavours.